IND231 and IND236 terminals are not only an excellent choice for basic weighing applications, but are also designed to support different application-specific requirements such as checkweighing, counting, animal weighing, and weight accumulation. Pre-defined application specific print templates, including date and time information, provide a record of the transaction or integration into PC based software applications. 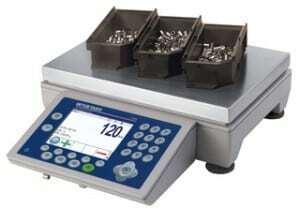 IND131/331 weighing terminals offer unmatched flexibility to meet the broad spectrum of process weighing applications. The IND131/331’s weighing performance is in the same class as the advanced IND560 and IND780 terminals. Further, the terminals also share a common look, feel, and user interaction experience. Increase your productivity by minimizing overfilling, avoiding underfilling and detecting incorrect or missing parts. 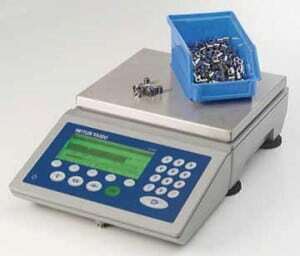 ICS4_5 compact scales feature high performance weighing technology delivering accurate results fast. Current regulations and processing trends in the food industry require not only safe and traceable products, but also process optimized and hygienically designed production equipment. The new scale line ICS639 – ICS669 combines both and offers seamless integration into the production process. 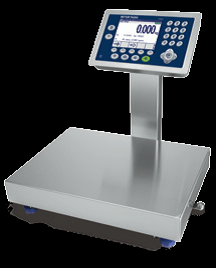 Every weighing solution fulfils the international food hygienic design standards and will be individually configured to your needs. 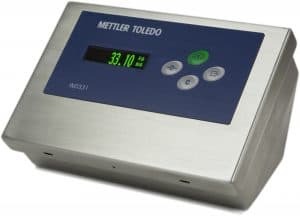 The Mettler Toledo model IND560 represents the newest METTLER TOLEDO technologies and is the most versatile weighing terminal available today. Choose from conventional strain gauge (analog) or high precision electromagnetic force restoration weighing (IDNet) technologies. Specify direct PLC (RIO, Profibus, DeviceNet, Analog Output) or PC (Ethernet, Serial) communication interfaces, or internal or external digital I/O control. Combine these selections with the option of IP65 rated panel or IP69k heavy-washdown desk/wall/column-mounting, and the IND560 is the perfect match for most any weighing application in many industries. 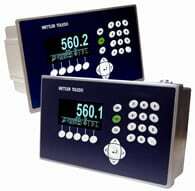 The Mettler Toledo IND780 is the most Powerful Controller in Mettler Toledo’s IND Line-up. Select combinations of METTLER TOLEDO technologies: Analog, POWERCELL™, IDNet, or X-base (SICS). Standard with Ethernet, two Serial ports, and a USB Master for an external keyboard. 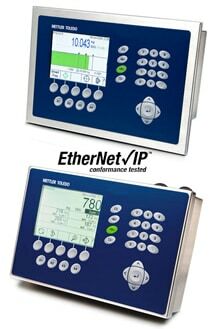 Fieldbus connectivity using popular networking protocols: Allen-Bradley RIO®, ROFIBUS®, ControlNet™, EtherNet/IP™, and DeviceNet™. Connectivity for multiple sensor technologies, networking, PLCs, and much more. Communications from basic serial protocols up to custom PLC data templates. Customized solutions using basic functionality, optional applications, or the TaskExpert™ programming tool.